Sygns Media > Our Blog > Storms’ Articles > Sports > What’s Next For the Portland Trail Blazers? After getting swept by the Pelicans. Looks like change may be coming. Much like the Wizards. The Blazers have been doing the same thing for years now and it’s just not working. So what do they do? If Portland what’s to get over the hump. They have to chase star talent. DeMarcus Cousins may be their best bet. Jusuf Nurkic is good on the pick and rolls, but he’s not a dominant presence. Cousins does everything Nurkic does, but better, and more. He can stretch the floor for Damian Lillard and CJ McCollum to drive. Double teams in the paint could give Lillard and McCollum open looks. Lots of benefits for them. Lillard, McCollum, and Cousins sounds like a great trio. Derrick favors could be the piece that gets them to the second round. He’s versatile on defense, can guard the 4 and the 5. He’s a good rebounder, and has steadily improved his mid-range shot. He’s not Cousins, but he draws attention to the paint. 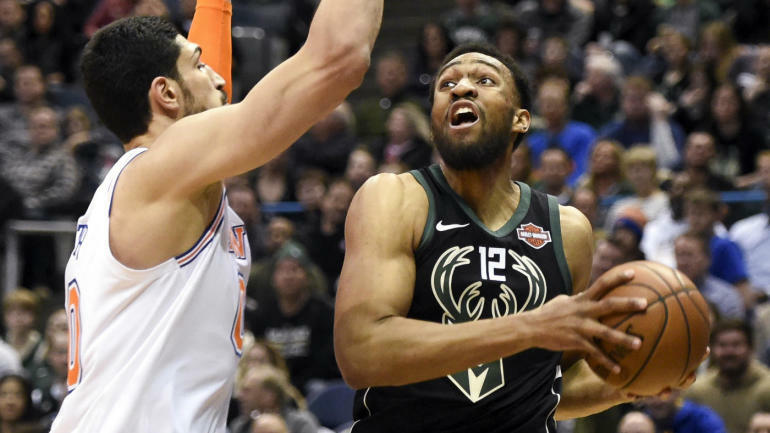 Jabari Parker is a restricted free agent. So I don’t expect them to get him, unless if it’s a sign and trade. Parker for Nurkic and another piece or pick sounds like a fair trade to me. He doesn’t fit in with the Bucks, he’s a small forward playing power forward because the Bucks have unlimited wings. But Parker is a scorer. He shoots, drives very well, he’s an all around solid scorer. He can compliment Dame and CJ very well. You have to watch out for three people who can drop points on you. You already have great value Steph and Klay, adding a Goodwill KD would be perfect. Plus, he has upside. It’s probably time to move in a new direction. Trade your stars for young pieces and picks. But who do they trade? And what can they get for them? 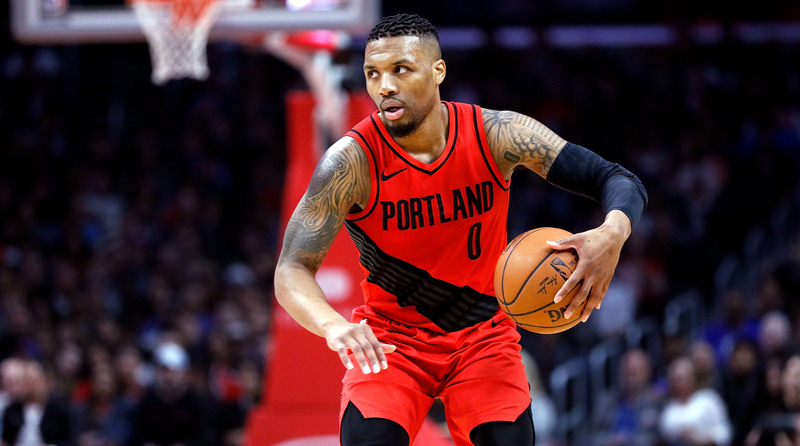 Damian Lillard is guaranteed to give the Blazers the most return. But keep in mind, he’s the face of the franchise. Trading him is like trading Kemba Walker or Russell Westbrook. Can you get equal value for him? I don’t know. I think trading Lillard to the Cavaliers for Larry Nance Jr and some picks would be a good move for both sides. They need a PF with upside and picks for the future. The Cavs need someone that LeBron can rely on. Love isn’t reliable every night. Lillard would be better than J.R. Smith, George Hill and Kyle Korver combined. One of the best shooters in the league, and he can do more than just shoot. I would love to see this move, assuming LeBron stays in Cleveland. Miami is another team they should call. Miami is looking to ship Dragic somewhere. They’ll need a PG. Lillard could be the perimeter threat they needed. They can get any combination of Tyler Johnson, Josh Richardson, Bam Adebayo, Justice Winslow, and picks. I can see this happening more so than the Cavs. I think Lillard would be a good player to build around and get them past the first round. The Pacers have young, but unproven pieces at the forward and center position. TJ Leaf & Ike Anibbogu may not be much. But they can jack some picks from the Pacers at least. Lillard & Oladipo would be like Lowry & DeRozan, but better. San Antonio has young players too. Kyle Anderson is a versatile point forward. Plays the 2, 3, and 4. Davis Bertans has potential to be another Ryan Anderson. Bryn Forbes has shown flashes this season with Kawhi being out. He’s a good perimeter shooter. I don’t expect him to be a star, but he can at least be a good role player, which he’s developing into one right now. On the other end, reuniting Lillard & Aldridge with Kawhi. That’s a dynamic trio. Only problem is, they’re developing Dejounte Murray into Tony Parker 2.0. That may stunt his growth. But this move can get them past the Warriors, they’re already competitive with just Kawhi and LA on the court. CJ McCollum is pretty much the same player Dame, but a little less finesse and a little more craftiness. He’s not the face of the franchise so trading him is easier, but you won’t get as much return. A team like the Nets could use him. They already have too many point guards, plus, they’re trying to get competitive as soon as possible. Spencer Dinwiddie, Isaiah Whitehead, and/or a pick(probably not a first rounder haha). Could be a nice package. Only if the Trail Blazers competely nuke everything, and trade Lillard too. Snatching a pick from the Bulls and a player could be the move as well. David Nwaba is a solid perimeter defender, I wouldn’t stay he could be Tony Allen, but he can fit that mold. Package him with a pick, you’re golden. The Bulls could use a dynamic scorer too in the back court. Kris Dunn showed flashes this year, he’s going to be a real good two-way point for this young Bulls team. CJ can compliment that by shooting the lights out. Good piece for the Bulls. The 76ers have lots of young talent for the Blazers, 76ers need a shooting guard. I can see the 76ers giving up TJ McConnell and a pick for CJ. A line up of a healthy Simmons, CJ, Covington, Saric, and Embiid looks very versatile and dynamic. Simmons getting CJ, Covington, Saric and Embiid open looks from deep and in the paint. CJ adds another element. JJ Redick & Marco Belinelli are great shooters too. But that’s all they do. CJ is that, and then some. This would really make battles between the 76ers & Celtics even more legendary. What do you think will happen with the Trail Blazers? Comment down below.